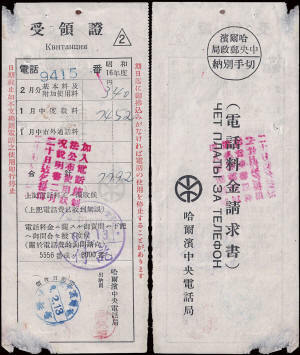 The Manchurian Telephone and Telegraph Company (MTTC) was founded on 1st September 1933. 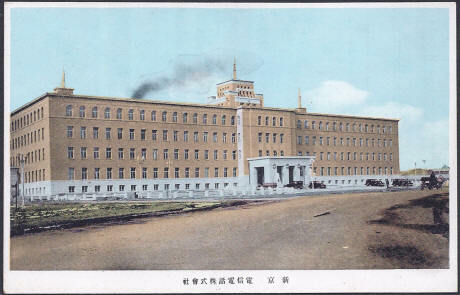 To expand and modernise the existing facilities in Manchukuo funding of 50 million yen was needed. This came from the Japanese government, the Manchukoan government and from the stock market in the form of a share issue of 27.5 million yen. 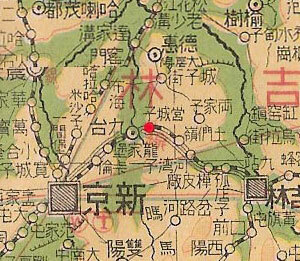 The MTTC although described as a joint venture between Japan and Manchukuo was inevitably managed by and for the Japanese. To unify communication systems within Japanese controlled territories the company took control of existing telephone and telegraph networks and radio stations within Manchukuo. Radio stations were of obvious interest as a means of disseminating Japanese propaganda and culture. 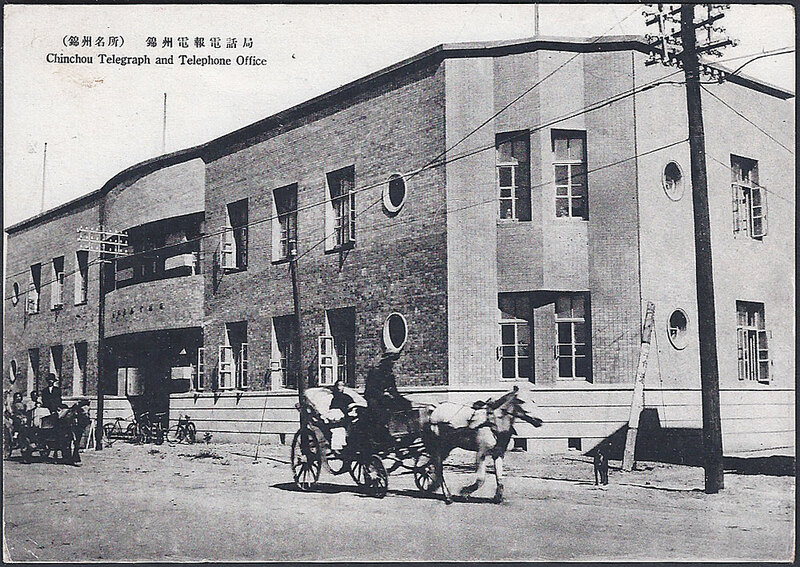 When the MTTC came into existence there were only three active stations Dairen which started transmission in 1925, Harbin which began broadcasting in 1926 and Mukden launched in 1928. 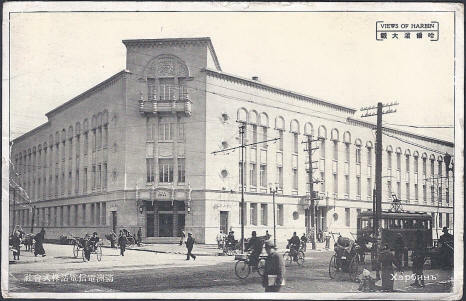 In 1933 a new broadcasting station was built in the capital Hsinking. A Postcard showing the new radio station in Dairen. 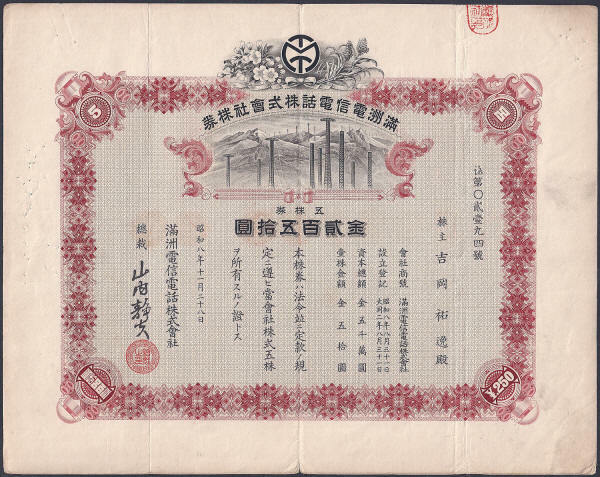 A cancel reading "Harbin commemorate the completion of the Central Broadcasting Bureau" this is dated 20th March 1941. 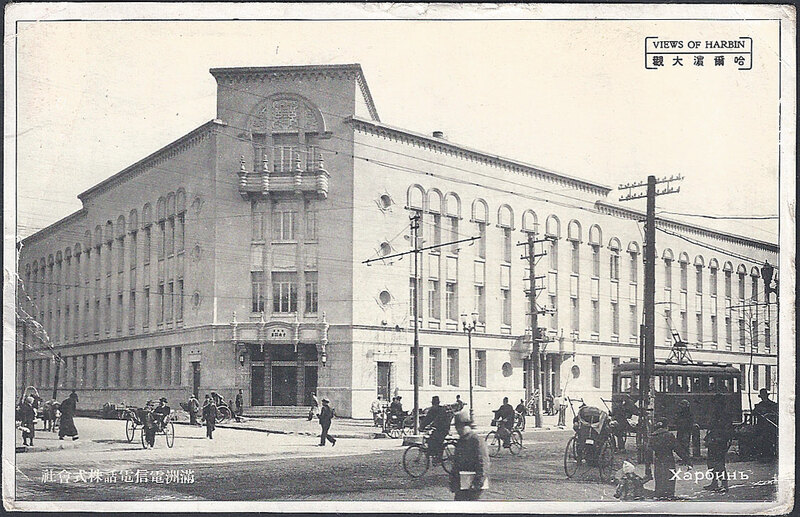 From the start date in 1933 it took until 1937 before the MTTC developed a proper regular broadcasting service. 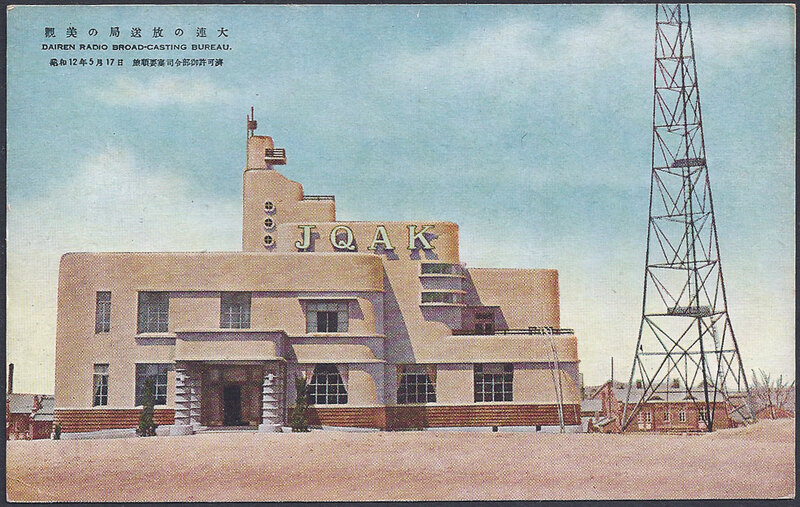 During this time new stations were added at Chengde, Jiamusi, Qiqhar and Yangji. 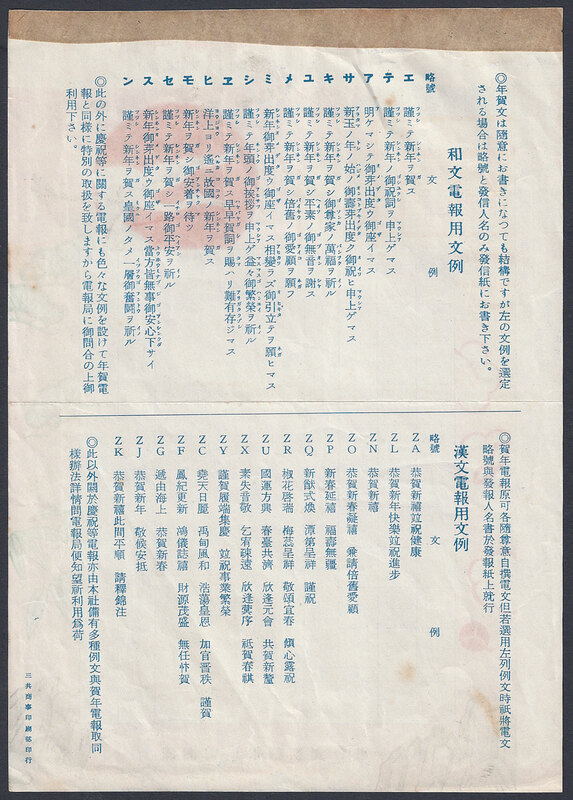 Manchukuo had a wide ethnic mix and so programs were broadcast in Chinese, Japanese, Korean, Mongolian and Russian. In Mukden they broadcast 20 minute news programmes in English three time each week. 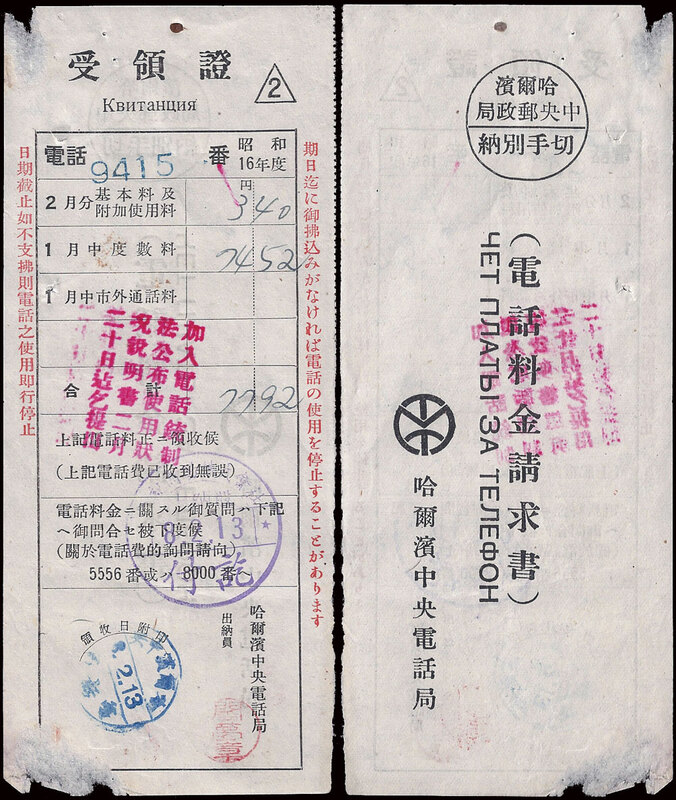 The MTTC also designed, manufactured and retailed radio sets for the Manchurian market. The sets were made in Mukden (now Shenyang). 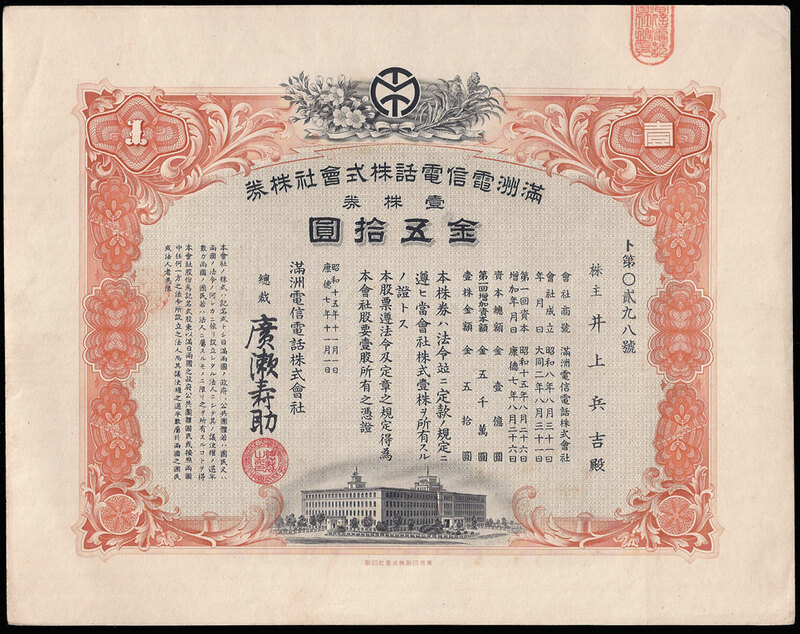 The content was mostly educational and topical with special programmes aimed at updating the population of government policy. 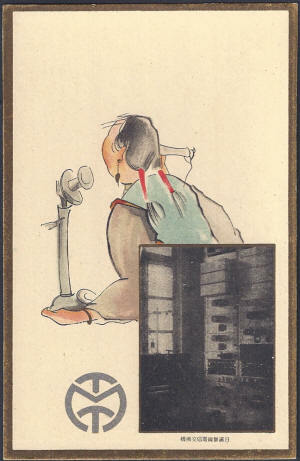 Channels were also reserved for military and intelligence use. 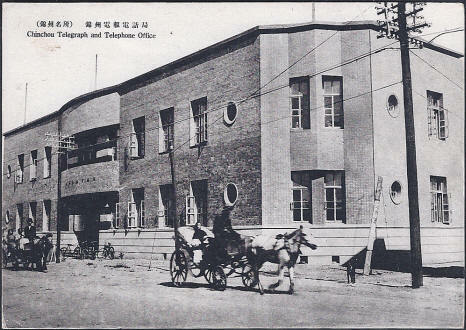 MTTC Headquarters Building in Hsinking. 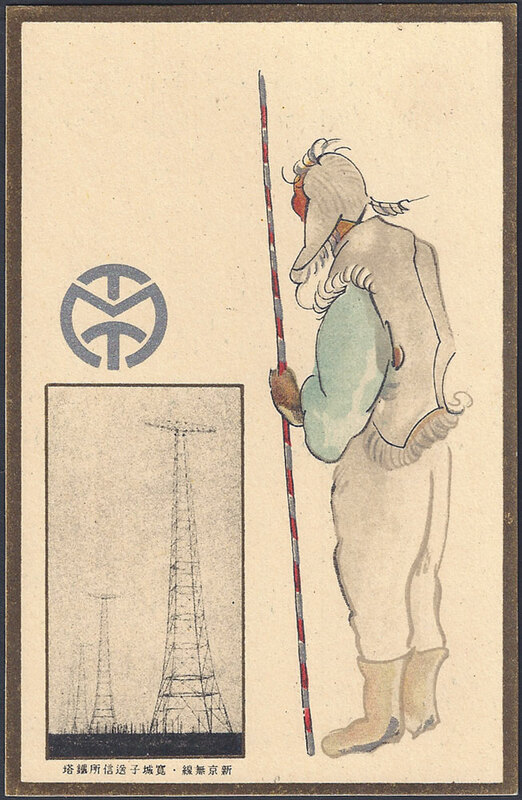 The MTTC launched a modern international telegraph system on 12th December 1935 when a connection to Paris became operational. Telecommunications were not new in China or Japan, the Empress famously had a telephone installed within reach of the throne, while in Tokyo an exchange was established in the early 1880's. 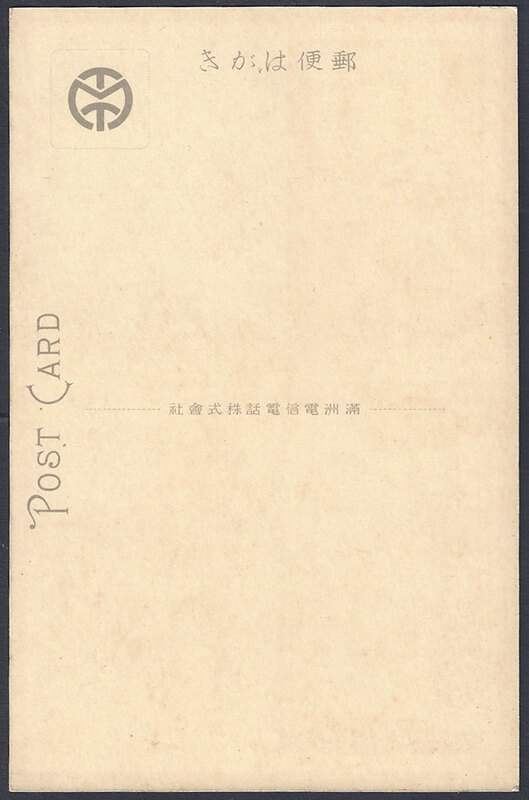 Postcards of any town in Manchukuo shows streets lined with telegraph poles all containing large numbers of wires. 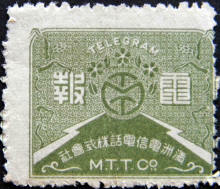 10th September 1940 The design of this cancellation represents the cross section of a telegraph cable. 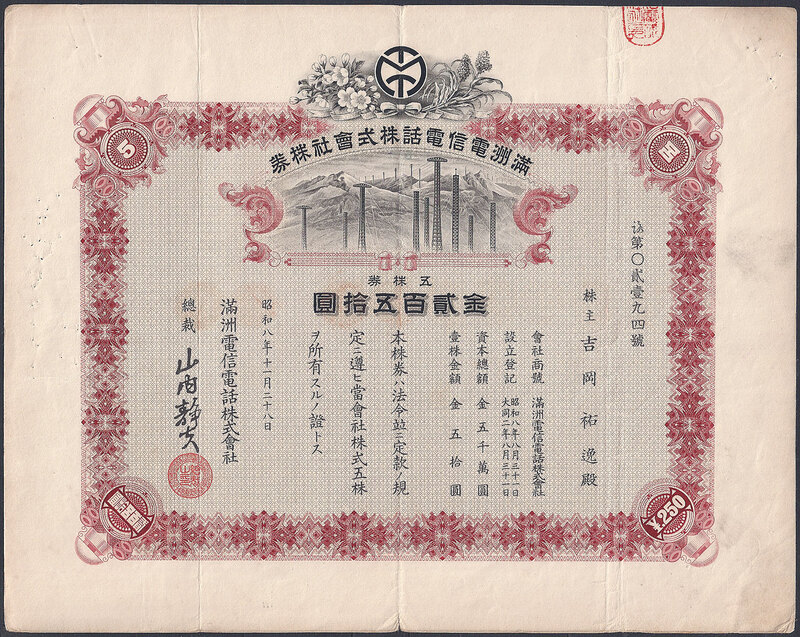 Issued on the date of the commissioning of the first cable to directly connect 新京 Hsinking with Tokyo. 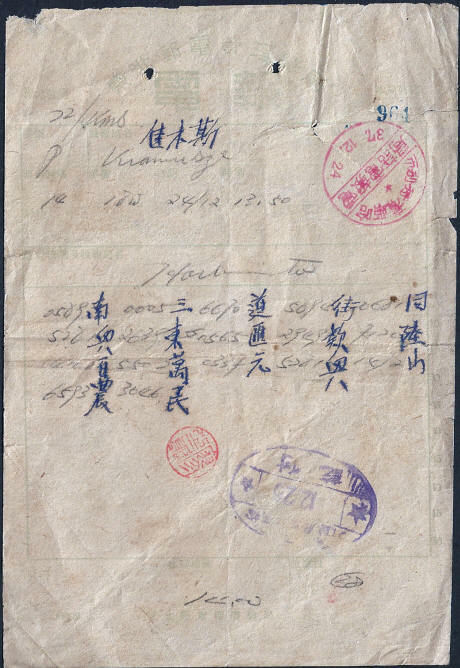 The Chinese telegraph system was established by The Great Northern Telegraph Company in 1871 but before a telegram could be sent it was necessary to find a way of sending Chinese characters. This problem was solved by a Frenchman Septime Auguste Viguier, a customs officer from Shanghai. He devised a system in which each character was assigned a four figure number. A table was then used to decode the message. 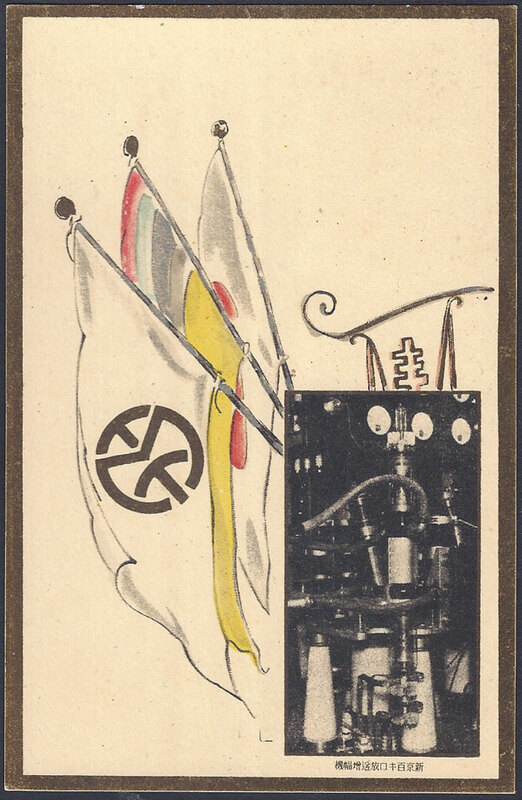 Viguier's system was a noble first attempt but had some inadequacies so this was updated with a new codebook in 1881 and again in 1929, supplemented in 1933 and these new codes were used in Manchukuo. This is a special form designed to make it easy to send a New Year telegram. 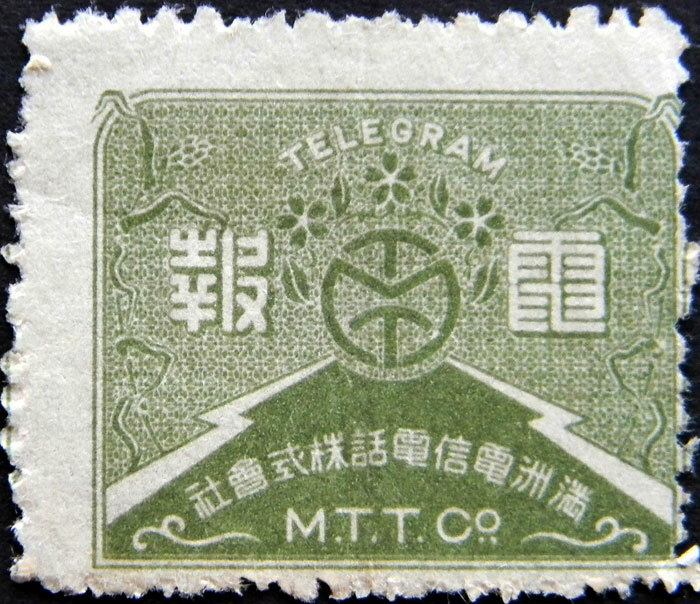 Note the MTT logo of the Manchuria Telegraph and Telephone Corporation top centre and see the 滿洲電信電話株式會社 imprint at the bottom. 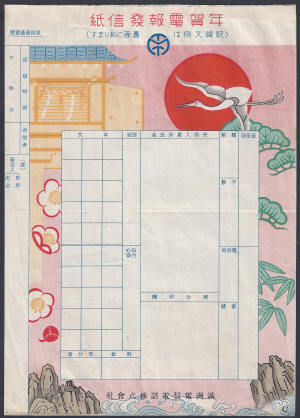 Dating this form is difficult as no dates are shown, the Manchurian crane, land separated by sea and symbols of Japan and Manchukuo all point to the time of the Emperors second visit to Japan in 1940, the stamps for this year also feature a Manchurian crane, hence the educated guess. 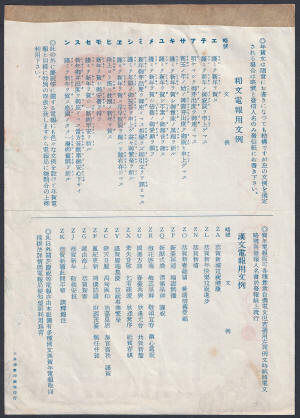 The back of the form contains a list of 15 two letter codes, each relates to a standard New Year greeting. 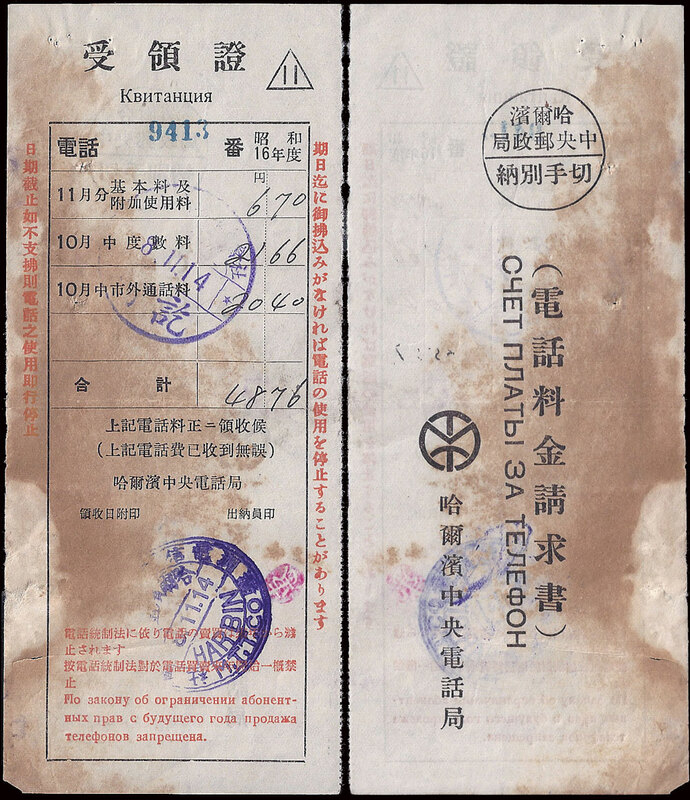 These are in Japanese and Chinese. The first ten greeting codes are for members of the public, the last five are designed for business use. 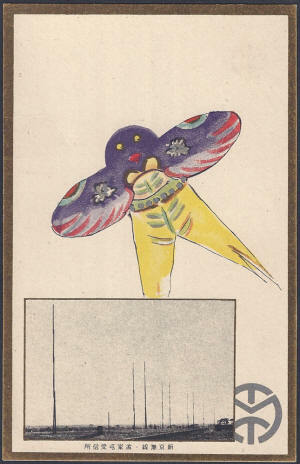 The form also states "◎ Besides these sample greetings we have many others for all kinds of occasions, if you have any questions ask at your telegraph office". Telephone bills from the Harbin Central Telephone Office of the MTTC dated 1940 and 1941. 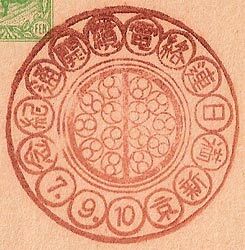 Both bills have a cashiers hand-stamp showing that they have been paid. 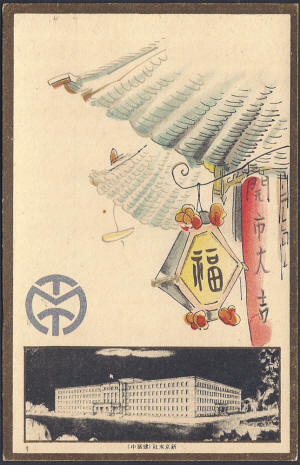 My thanks to Richard Arent for the Japanese translation. 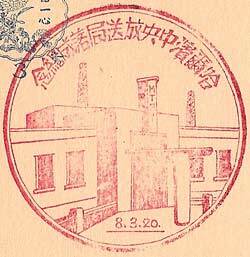 Ephemera connected to this company is now very rare, particularly outside Northern China.